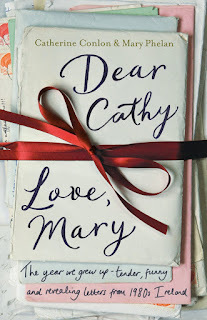 BleachHouseLibrary.ie: Book Review: 'Dear Cathy, Love Mary' by Catherine Conlon & Mary Phelan. 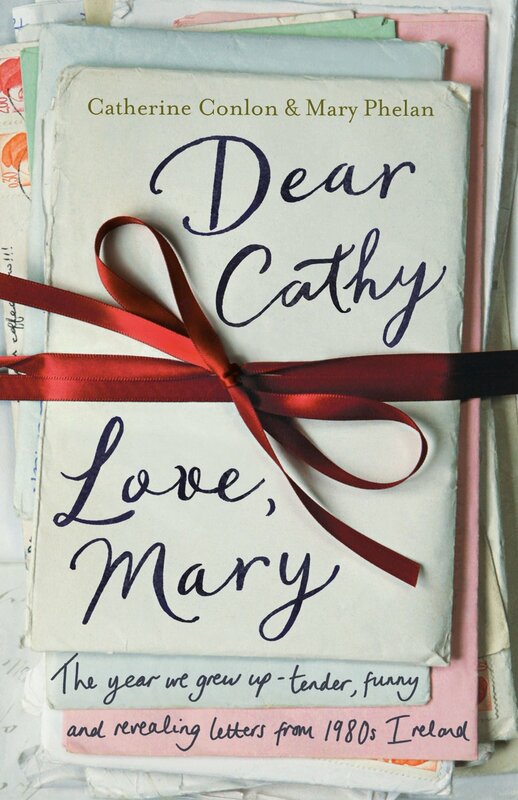 Book Review: 'Dear Cathy, Love Mary' by Catherine Conlon & Mary Phelan. Who can remember writing letters, on real paper, using a pen? And then popping said letter into an envelope (preferably matching the writing paper) and heading to the post office to buy a stamp? Usually the letters involved lots of angst-ridden prose and juicy gossip. Often being sent to a friend or relative who had emigrated or just headed off for some summer work. Less access to telephones, prohibitive costs when you managed to find a working public telephone, and a lack of internet, meant we all had to make an effort to stay in touch. This non-fiction title, from Penguin Ireland, sees a full two-sided conversation between a pair of Irish teenage girls, separated by the miles of sea between Ireland and France, in 1983. Cathy has taken an au-pair job in Brittany, while Mary has stayed behind, in South Tipperary, to study accountancy. The girls embark on their journey to adulthood in different countries, but united with their love of correspondence. The best 'fancy paper' is brought out and letters fly back between the girls at a steady pace. The reader is treated to (almost completely) unedited transcripts of these letters, and is thrown back to the days of records, tapes and limited TV viewing. Chris deBurgh, The Eurovision Song Contest and Dallas are the topics of conversation. The latest fashion is dissected and gossip is ping-ponged, back and forth, with great aplomb. Boys are on their minds, suntans revered and independence is something to be a little afraid of. The cost of stamps is on their minds at times, and phone calls are few and far between. The local newspaper is passed on to Brittany and the rose of Tralee is a great source of material for girls litany of events. Photos of the actual letters are dotted throughout the book, and show the effort Cathy and Mary went to, when writing to each other. Hi -I'm in California, USA. So; I don't think I can order from Ireland. Not sure. I'm hoping to get it through Amazon when it becomes available. I don't see it as being available. Maybe, only there right now.